3M 200 Scotch Paint Masking Tape Natural 70006164159, 2" x 60 Yards is a premium high performance crepe paper masking tape designed to perform well in most industrial painting situations, including the use of bake cycles. This smooth to the touch masking tape, embodies all the features that are desirable of a paint masking tape and designed specifically for the professional painter. 3M 200 Scotch Paint Masking 2" x 60 Yards Tape is a rubber adhesive with instant adhesion that sticks easily and allows fast application. Idea for good holding power that resists lifting or curling that helps reduce rework. Superior adhesive transfer resistance with clean removal. Smooth mini-crepe backing results in excellent surface contact with very secure holding. Provides excellent conformability and easy handling that reduces time involved in application. 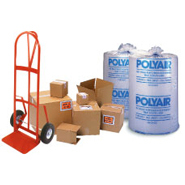 The backing is solvent and moisture resistant that helps reduce bleed-through. The backing has good dead stretch for minimal recovery. 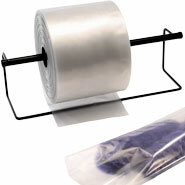 Ideal for easy to tear backing aids in handling, yet strong enough to resist slivering giving one piece removal. Special backsize treatment gives a balanced unwind. Paint flake resistance that reduces rework due to contamination, results in a quality paint job. Can be certified for ASTD-D6123/D6123M97. Replaces obsolete PPP-T-42C, Type 1, (CID-A-A-883A). Typical physical and performance characteristics include: thickness: 7.6 mils, adhesion to steel: 38 oz./in. width, tensile strength: 28 lbs./in. width, elongation at break: 10%, temperature use range: Up to 200°F. Tan.